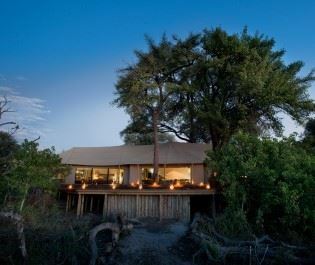 It sometimes feels like Khwai River Lodge has been in the Okavango for as long as the elephants. 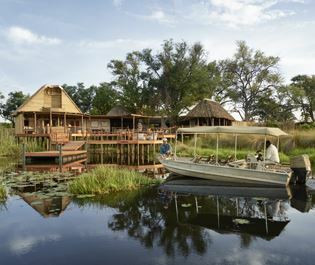 This is one of Botswana’s oldest lodges and has been a pioneer in developing luxury safari tourism in the country. 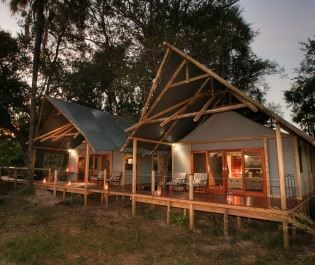 It’s been refurbished a number of times so a modern opulence contrasts the few original lodge buildings that remain. 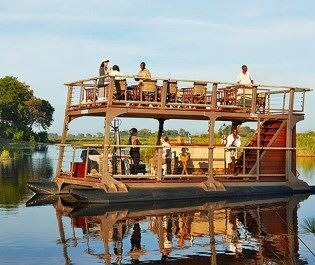 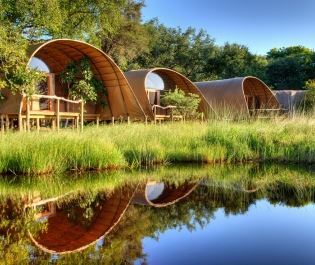 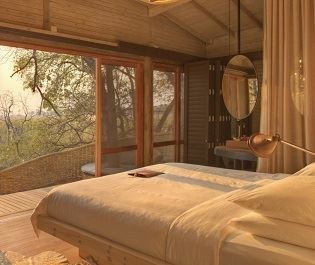 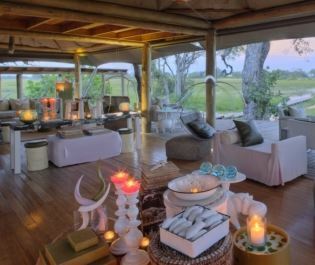 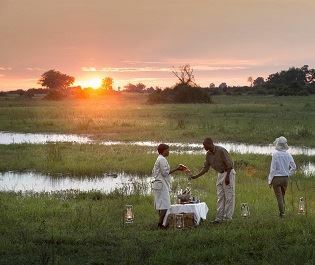 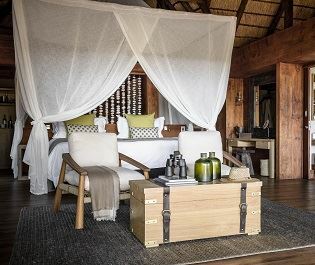 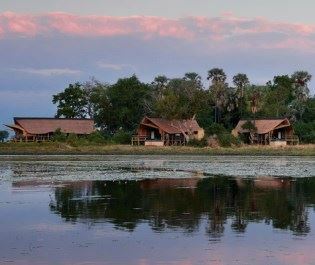 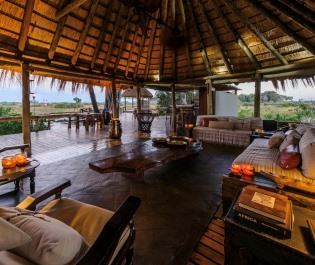 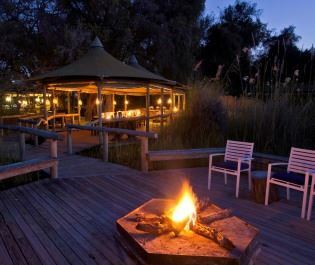 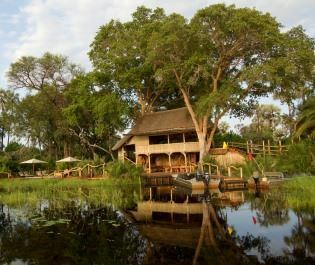 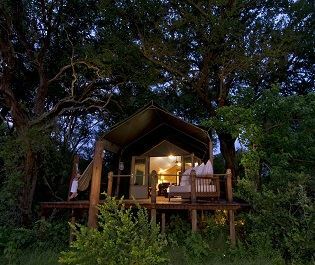 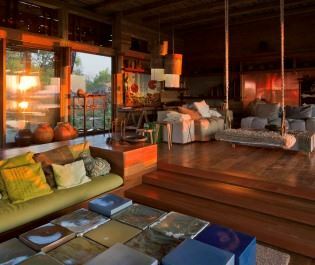 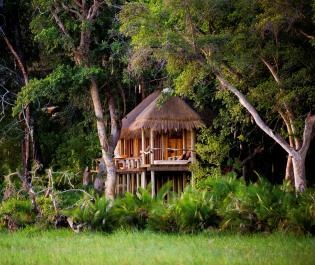 Expertly located on the Khwai River, this lodge has arguably the finest location in the Okavango for spotting wildlife. 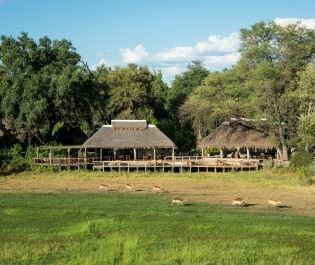 If we had to pinpoint the exact spot where the highest concentration of animals congregate then it would be the riverbanks visible from the lodge. 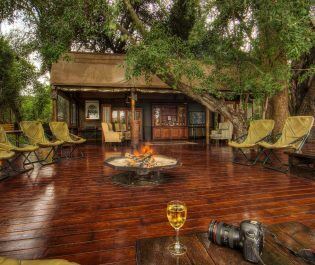 From your private verandah there are sublime views over all the animals that make the Delta so special. 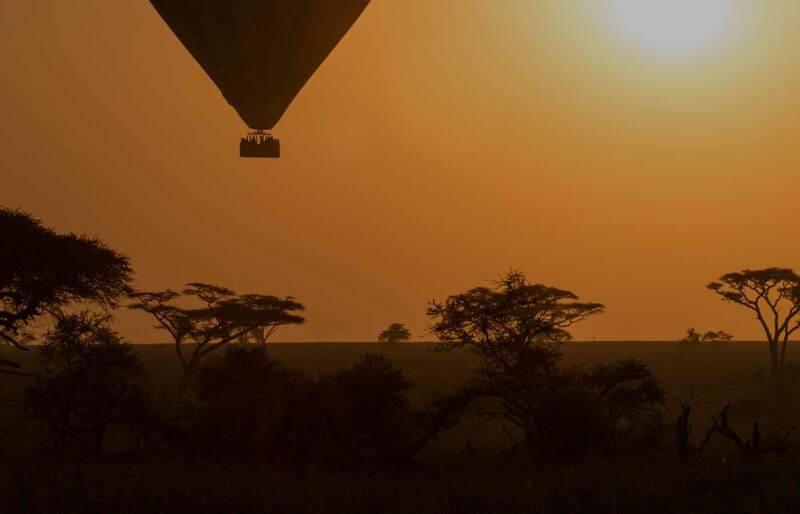 Usually there’s so much to see that you don’t need safari activities. 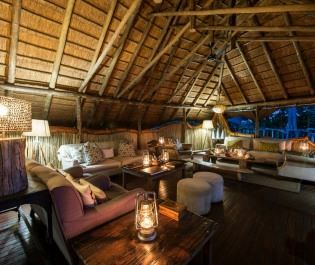 Morning and afternoon game drives are expertly guided and there’s an exclusive option to explore a small local concession after dark. 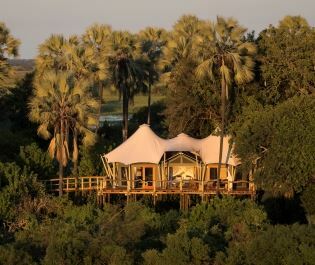 Among our many highlights here have been prowling leopards and quarrelling herds of elephants. 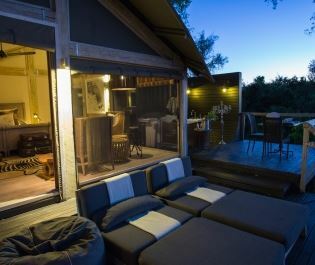 While the lodge doesn’t have the same exclusivity of old, the tented suites are almost incomparable. 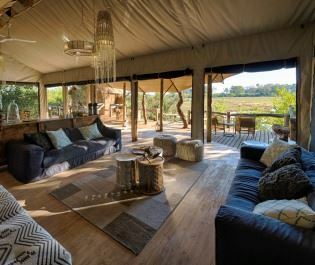 Stretching over 100 square metres, they’re equipped with comfortable furniture, a humongous bed (twin beds are also available), and a bathroom that could feature in any world-leading hotel. 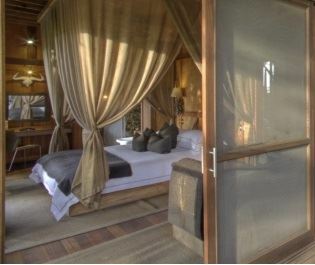 To enhance the romance there’s also a private suite with a heated plunge pool and open-air Victorian bath. 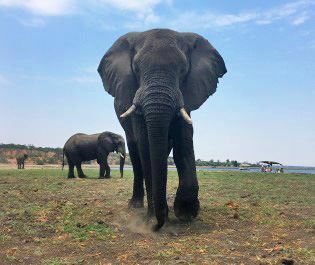 Home to the largest population of elephants in Africa, Chobe National Park is our favourite place to travel alongside these magnificent giants. 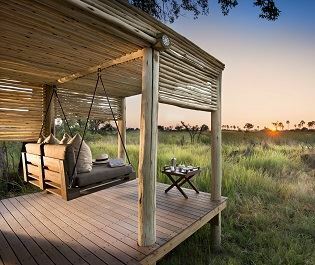 The experience of living under canvas yet still enjoying modern luxuries is one we'll never tire of, and the Linyanti Wetlands are the perfect place to do so. 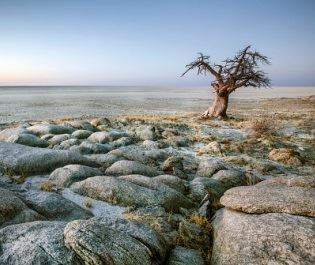 The Makgadikgadi Pans offer a front row seat to wildebeest, zebra and gemsbok migrating across stunning salt pans, a sight that never ceases to amaze.